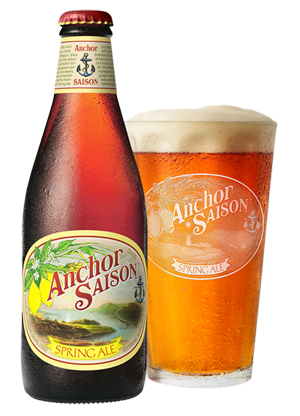 Saisons originated with the rustic farmhouse ales of Wallonia, the mostly French-speaking, southern region of Belgium. Bière de saison was brewed during the saison froide (cold season) for consumption during the warmer months. In other words, Belgian farmers brewed their farmhouse ales/saisons “in season”—the brewing season—between November and March, roughly the end of harvest to the beginning of plowing and planting. It was during these months that farmers would have more time on their hands to brew and cooler temperatures to help preserve their beers until the busier, warmer months. Bière jeune (young beer), on the other hand, was made year-round, except during times of high heat, and consumed within two weeks. In addition to their recreational and celebratory use on the farm, both bière jeune and bière de saison provided a safe source of hydration and nutrition. Today saisons are made and enjoyed year-round. 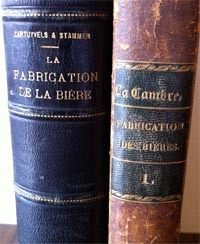 Two nineteenth-century books in Anchor’s private library are particularly helpful in researching saisons: Traitè Complet Théorique & Pratique de la Fabrication de la Bière et du Malt, by Jules Cartuyvels and Charles Stammer (Brussels, 1883), and Traitè Complet de la Fabrication des Bières et de la Distillation, by Georges La Cambre (Brussels, 1856). Relevant text and translations coming soon to the Anchor blogosphere! As brewers, we were drawn to this beer style’s enigmatic history, the freedom it offers, and the creativity it demands. Our first saison, Zymaster Series No. 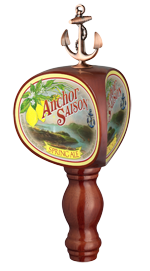 4: Fort Ross Farmhouse Ale, was so well received that we decided to create a new saison for our spring seasonal. 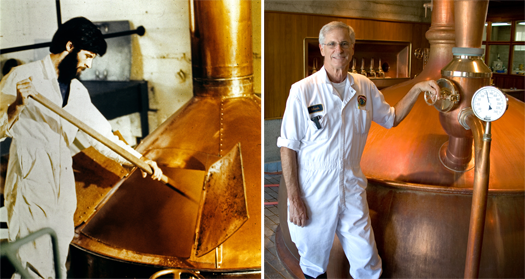 Mark Carpenter in 1977 (left), and in the Anchor brewhouse today (right). The wonderful aromas and flavors of San Francisco’s Japanese and Vietnamese restaurants inspired our brewmaster, Mark Carpenter. 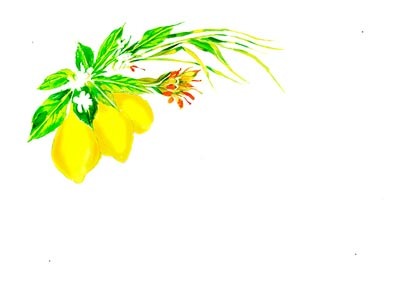 He has created a brew in which you can smell and taste the lemongrass, lemon peel, and ginger individually and collectively, a perfect complement to our unique combination of malt, hops, and Belgian-style yeast. 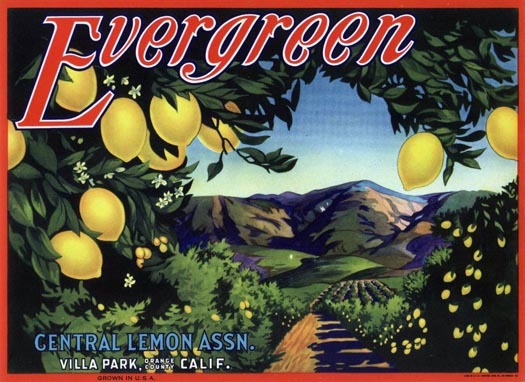 A vintage fruit crate label from Transcontinental Brand. Note San Francisco Bay in the background. 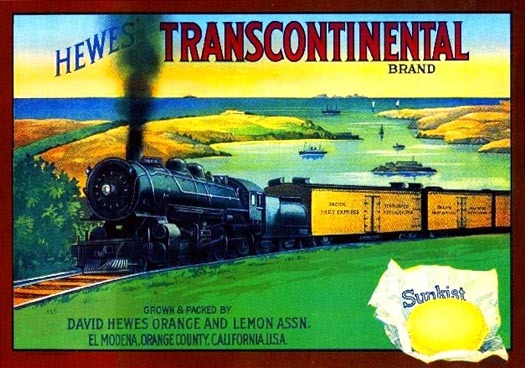 The completion of the transcontinental railroad in 1869 and the Southern Pacific’s “Sunset Route” in 1883, coupled with the advent of refrigerated railcars, made it possible for California brewers and farmers to ship their products out of state. Local artists and lithographers were engaged to create imaginative labels for bottles of beer and crates of fruit. Many of the latter featured colorful vignettes of California scenery framed by mouth-watering images of fresh citrus. 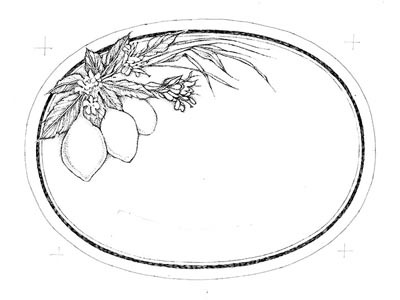 Printers offered hundreds of stock designs to California’s fruit growers. Once an image was chosen, the appropriate brand name, etc. could be added to the label. Eventually, of course, this caused great confusion in the marketplace because, as with beer labels today, it’s the image on the label, rather than the brand name, that often catches the eye first. 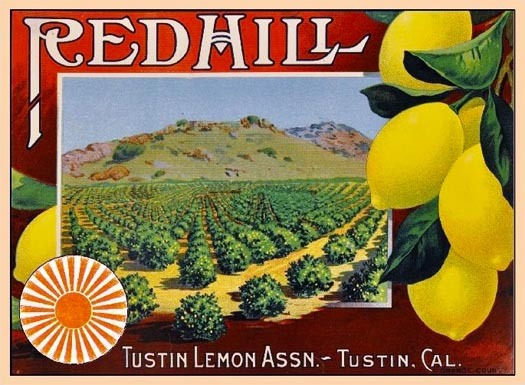 By 1900, there were some 500 different brand names in California just for oranges. By 1930, this number had quadrupled! A craft-beer pace? Years ago, when we were working on redesigning our Old Foghorn® label for a new seven-ounce bottle, Fritz Maytag asked me to go upstairs to the “old lab” (back in the day, when our building was a coffee roastery, this had been the laboratory—today this space is home to our marketing team) to find his wonderful collection of California fruit-crate labels, which were kept in a huge, old, black, leather portfolio. As Fritz, Jim Stitt, Jack Martin, and I carefully perused its magnificent contents, inspiration seemed to fly around the room. It wasn’t long before we had our new Foghorn label. Remembering that day, I thought it would be fun to design a label with the key elements of a great fruit-crate label: a vintage vignette of San Francisco Bay and the Golden Gate, Anchor Saison in a type style and color reminiscent of those old crate labels, and, of course, a mouth-watering watercolor of our saison’s California-grown ingredients. 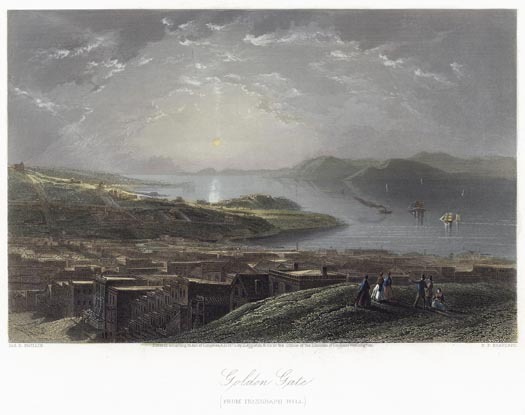 Our label features an original hand-colored image of the Golden Gate as seen from Telegraph Hill in springtime, the brief moment every year when the hills of San Francisco, Marin, and Angel Island are blanketed in vivid green. It’s been hanging on a wall in our home for years. James David Smillie (1833–1909), son of Scottish engraver James Smillie (1807–1885), created the black-and-white original for a large two-volume book called Picturesque America, which is in my personal library. Our saison’s California ingredients—hand-drawn and watercolored by our label artist Jim Stitt—adorn it, just as they might have adorned a California fruit-crate label over a century ago. Below are a couple more examples of what goes into the creation of a handmade label for a handmade beer. 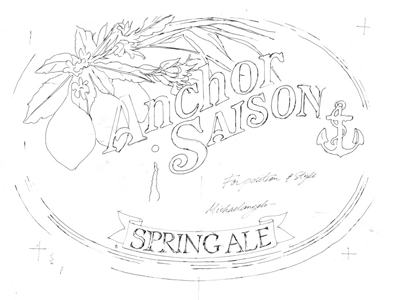 Jim Stitt’s inimitable artwork and design sense, along with Elaine Kwong’s incredible ability to put it all together, have once again created a uniquely Anchor label for a uniquely Anchor brew. 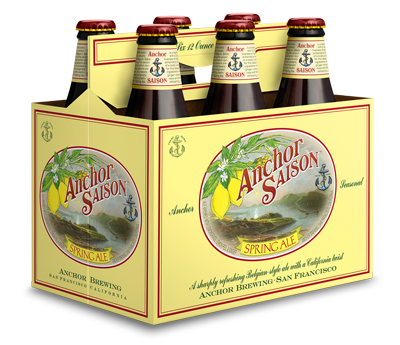 Can’t wait to try this Saison Spring Ale. Very curious about the California ginger, I did not realize ginger was grown in this state. Thanks for making great beer!